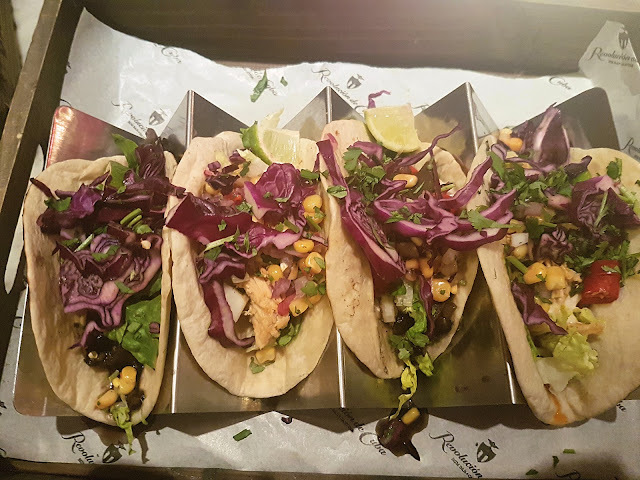 Taco Tuesday at Revolucion De Cuba! Ever stuck for what to eat on a Tuesday night? Well, look no further because Revolucion De Cuba has launched a new Taco menu and I. AM. EXCITED. I love tacos. In fact, i love all food so that's not really anything new although, taco's have never been something i would have gone for while eating in a restaurant. 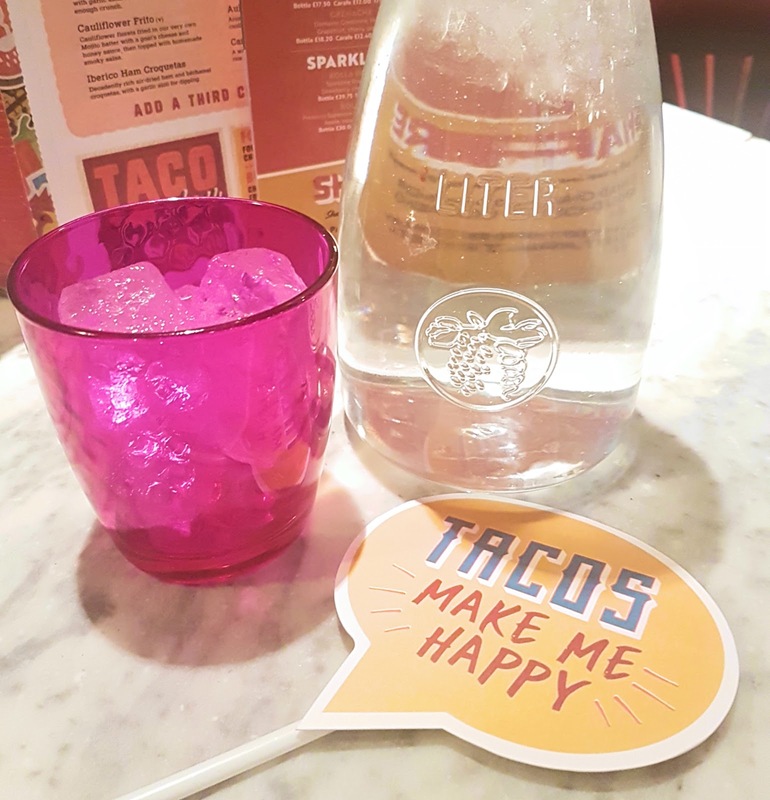 Luckily, i was invited down to try some of the new taco menu so naturally me, Billie and Kirstie turned it into Taco Tuesday with 2 for 1 cocktails of course. It would have been rude not too. When we arrived we were shown to our table and were told about the 2 for 1 cocktails so we got to having a browse of them while we waited for our tacos to arrive. 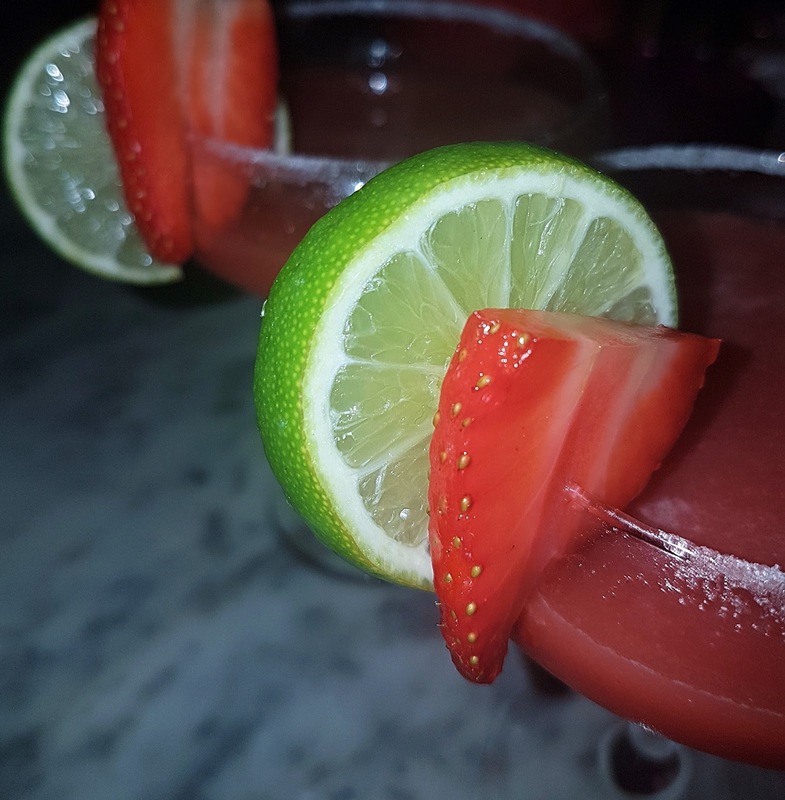 I went for 2 strawberry margaritas which came garnished with strawberry and lime and looked so yummy. While we were waiting I noticed a band playing cover songs and was so entertained by them. They covered all different genres of songs and it gave the place a really good upbeat atmosphere. It wasn't too loud or too quiet which i often find with live music in restaurants sometimes. Then the tacos arrived. 4 instead of 2. Heaven. We had 2 mushroom and 2 chicken tacos. I will admit, i had to remove some of the red cabbage as it was a little too much for me and some of the chilli. I am not a massive fan of spicy hot food and there were so many pieces of chilli in them. The mushrooms however, were lovely and creamy and the chicken was soft and the flavours all went together incredibly. Of course i made a mess while eating them because it's me and i was eating tacos but i throughly enjoyed my evening. I forget how much i love eating at Revolucion De Cuba, their tapas is to die for and the atmosphere is always amazing no matter what evening of the week it is. It's always busy on a Saturday evening too and i can never get enough of the cocktails they make. They have some amazing ways of serving them!